Follow the progress of kittens Apple and Apricot over the next few weeks in our Kitten Academy series. Four-week-old Apple and her sister Apricot are starting to get much more energetic as they grow up! Apple, in particular, loves to chase her toys around at top speed and then instantly fall asleep when she gets worn out. She has also started to explore more of her pen, using the cat flap to have a run around in the larger area at the back. Apricot has been showing interest in her toys too, but still prefers to spend time curled up with her sister or mum Annie. Both of them are still a little unsure of humans, but by going at their own pace they can be encouraged to come forward of their own accord to have a sniff. To prepare them for life in a proper home, it’s important to get kittens used to experiences that involve each of their senses. Smell is an important sense for cats, as they use it to assess their environment and work out what is safe. Therefore, introducing them to a variety of different scents early on is important. For example, placing a clean cloth that carries the scent of a healthy, friendly, vaccinated dog in their pen should help them better adapt to living with a canine in the future. Cats have a particularly acute sense of hearing, and so the bigger the variety of sounds they hear when they’re young, the better. Kittens in Cats Protection’s care are regularly played a CD of common household noises, such as that of washing machines and vacuum cleaners, to prepare them for life in a busy home. They also get to listen to the radio too, so they’re well accustomed to a bit of Ed Sheeran and Little Mix! 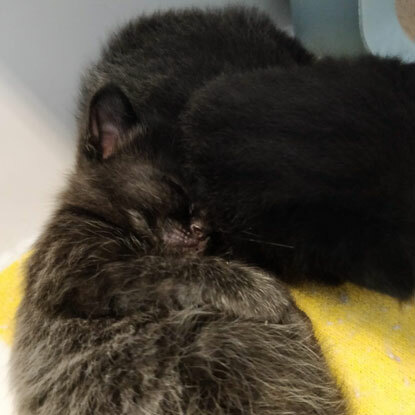 At four weeks old, the kittens can begin weaning, so they are provided with a varied menu of cat foods to get them used to different flavours. Apple and Apricot have already begun munching on some cat biscuits, sometimes sitting in the bowl for better access! 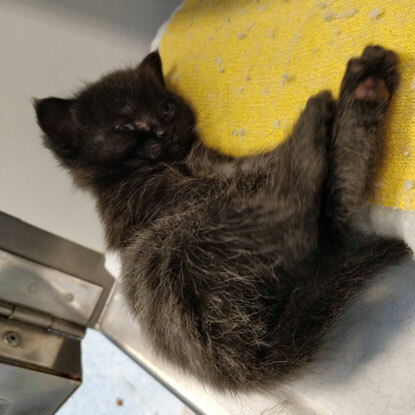 As their pens only have hard plastic and concrete flooring, the kittens are provided with carpet samples, towels and blankets to get them used to different textures beneath their paws. A scratch post or scratch mat also helps them to exhibit their natural scratching behaviour and learn not to destroy the soft furnishings. 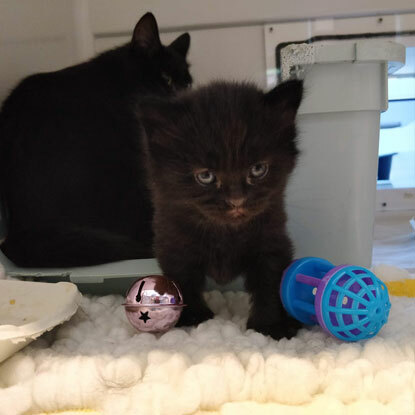 The kittens are given lots of different objects in a variety of shapes and sizes to explore, including a selection of safe toys they can ‘hunt’. Apple and Apricot are particularly interested in batting around a shiny ball that rattles, and chewing on a cardboard box. Come back next week for more kitten adventures! 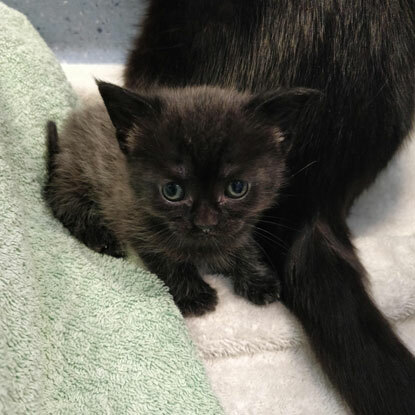 For more information about caring for kittens, visit the Cats Protection website.